Simulator-based training has witnessed considerable attention in recent years for the training of operators in the maritime domain and is employed by majority of nautical training institutes. IMO has published the model course 6.10 Train the simulator trainer and assessor which acts as a guideline and aims to promote uniformity in the simulator-based training for maritime operations. Nevertheless, the model course should not be “implemented blindly,” since one has to acknowledge the institution’s own resources and apply them in an appropriate way. Consequently, a variation in different institutions simulator training can exist. This study aims to discover how such variations exist in the European full mission simulator training institutions. Semi-structured interviews were conducted to clarify each of the participating institution’s simulator training design. The interviews comprised relevant performance indicators—e.g., identical elements, training time, teaching of general principles, students’ needs, feedback, training needs analysis, assessment, and instructors´ qualifications—selected after a detailed literature review. The findings present variations and similarities observed in the European simulator training facilities, in relation to the designated performance indicators. 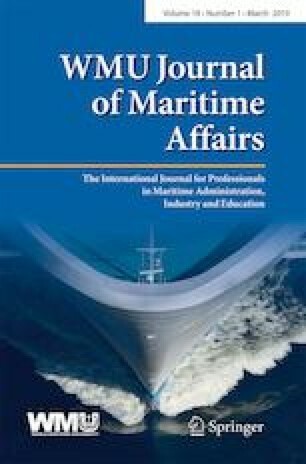 The study demonstrated that although some simulator training in Europe appears to be performed uniformly due to comparable proceedings and understanding of the model course 6.10, the implementations of these aspects on the basis of interpretation and available infrastructure can create dissimilarities. Salman Nazir and Sophie Jungefeldt have made equal contributions in this manuscript and are co-first authors. The authors would like to thank the participants in the study for their valuable contributions and anonymous reviewers for their feedback.